An engineer by trade, Steve has spent the last 25 years in the IT sector. During this time, he has held both sales and management positions in a number of high profile organisations within the service provider community covering ISP telecoms, managed service and cloud based solutions as both technology and customer demand evolved. 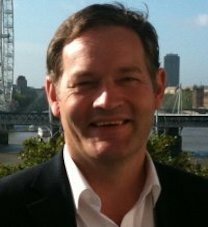 In 2007 Steve co-founded Colofinder; a specialist consultancy practice which provided independent data centre search and selection guidance to corporate end user looking for the right providers and services to meet their long term strategic business needs. In 2010 Steve went on to co-found the DCA. 7 years on and the DCA is now the largest not for profit international trade association for its kind dedicate to supporting the data centre sector and increasing awareness of the vital role the industry plays in supporting businesses and consumers on a global scale. Today Steve forms part of the secretariat team for the DCA as CEO, still oversees the running of Colofinder and sits on a number of Technical Councils and company boards in an advisory role.